Volunteers at our Desert Elephant project in Namibia have an incredible opportunity help to conserve the special African elephants who have adapted to live in the harsh desert environments. The elephants are of a high national and international conservation priority, and have been designated as top priority for protection by the IUCN (International Union for the Conservation of Nature). They live in Namibia’s North West Kunene Region, encompassing 115,154 km2 of mostly sandy desert, rocky mountains and arid gravel plains. 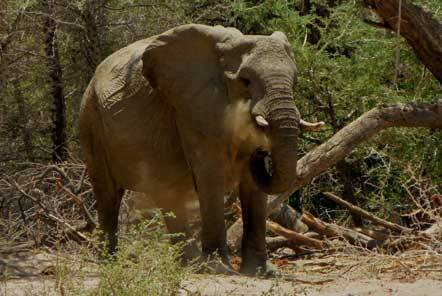 Although the desert elephants are not a separate species from savannah elephants (Loxodonta africana Africana) Namibia's desert-dwelling elephants have specially adapted to their dry, semi-desert environment. They have adapted by having a smaller body mass with proportionally longer legs and seemingly larger feet than other elephants. These physical attributes allow them to cross miles of sand dunes to reach water. The elephants survive by eating moisture-laden vegetation growing in ephemeral riverbeds and can go several days without drinking water. Volunteers during the elephant patrol help the research team take note of the elephants activity, to help gain a greater understanding of their nutrition and drinking patterns. 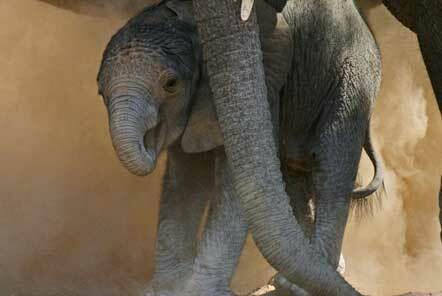 Elephants are known for their long lifespans, intelligence, memory and a special family structure. A full-grown male elephant is known as a bull elephant and can weigh up to 6 tons (around 6000 kg) and be 4 metres high at the shoulder. Females are usually a little more than half that weight. It is amazing to be able to see these huge magnificent animals in the wild, and the team play a vital role in the continuous research and monitoring on these elephants. Volunteers can often observe the elephants bathing, using dust and mud to coat their skin as this helps to protect them against the strong African sun and biting insects. There are several young elephants in the herds which the team may see while on patrol and volunteers can often watch the youngsters play in the mud while their family herd closely watch from the shade of nearby trees. 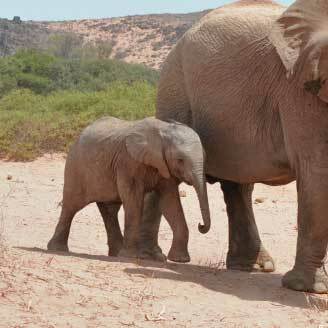 Elephants have a long gestation period of 22 months then the baby elephant requires mother's milk for around two years, but often up to 3-4 years old. The youngsters learn all they need to know from their family members: mothers, aunts, sisters and brothers. As males bull elephants reach puberty (around 11-14 year old) they leave their family herd and join other males to continue learning adult behaviour from older bulls. 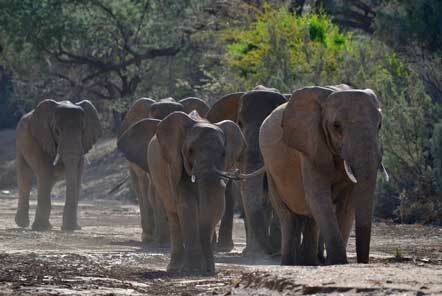 Females usually remain in their family herds, which are led by a matriarch. Matriarchs are usually the largest and oldest female, with the richest store of knowledge about water, food resources, escape routes and hiding places in their range area.